The core of this business will always be people. When you understand people and know how to move people, you’ll understand this industry called Network Marketing. 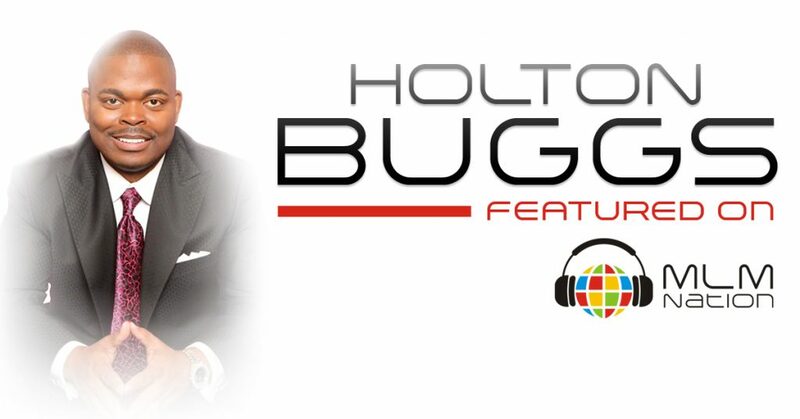 Holton Buggs shows us how to compete for the heart. Also, how to not get discouraged when your friends and family don’t support you. Holton Buggs was raised by a single mom in the Ponce De Leon projects in Tampa, Florida. His mom worked several jobs to support the family and always encouraged Holton to achieve a better life. Holton started his entrepreneur journey at the age of 14 by cutting hair to make money; and then got tired of doing all the work himself and discovered leveraged by buying candy in bulk and recruiting people to sell it for him. In 1996, at the age of 27, he started his first of many businesses; a furniture business which eventually went out of business. And that’s when Holton rediscovered network marketing. Holton never made more than $500 a month for his first 7 years in MLM and his organization never grew to more than 50 people. His friends thought he was crazy to stick with MLM but Holton kept going cause he decided to listen to his mentor instead of his peers. Eventually Holton had his breakthrough and today Holton is a multiple 7 figure earner and one of the most recognizable names in the network marketing profession. Recommended Prospecting Tool His smile and the way he extends his hand for a handshake.